Students received this assignment on Friday, 1/12/18. It is due on Wednesday, 1/17/18. They received graph paper and an assignment sheet. They are to draw a robot with head, body, arms, and legs (feet and hands are optional) using rectangles and squares. 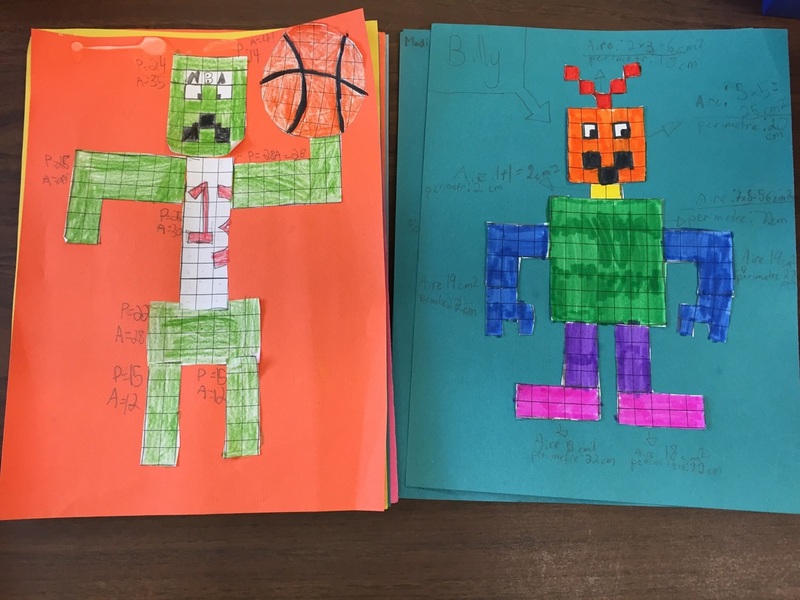 The robot can be left on the graph paper and colored, or it can be colored, cut out, and glued onto another sheet of paper. Students are to make a three column chart and list all the body parts in the first column. Area and Perimeter will go in the other two columns. Find the area and perimeter of each robot body part. Then find the total area and perimeter. The area will be how many square units are used to make the robot. The perimeter will be the distance AROUND the robot, NOT the perimeter of each part combined.